Nora Carpenter is a Certified Yoga Teacher and has taught numerous kids' and adults' yoga classes since 2007. She also holds an MFA in Writing for Children and Young Adults from Vermont College of Fine Arts, where she rotates as Head Grad Assistant for the program's summer residencies. She lives in Asheville, North Carolina. 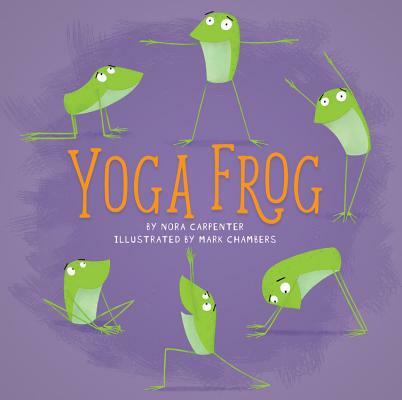 Mark Chambers is an author and illustrator of children's picture books and young fiction. He studied Illustration at the University of London. In 2017, he was shortlisted for the AOI World Illustration Awards, and in 2013 for the Roald Dahl Funny Prize. Since then Mark has illustrated a wealth of picture books and young fiction. In 2013, he won the Sheffield Children's Picture Book Award and was also highly commended in the young fiction category. Mark currently lives and works in Lincoln, United Kingdom.